Good Day! 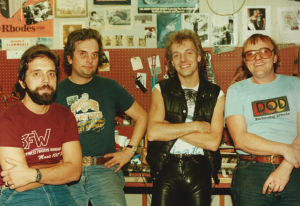 With the K50-15 amp in production I feel that it is important to share the background of its designer, Dennis Kager. That was my dad. He recently passed and unfortunately won't see the unveiling of his latest masterpiece. To know him is to understand that he was a very complex man. A very forward thinker. What we do is use our past experiences as a guide. Dad was a walking "intangible". He carried such a wealth of experience. You cannot measure it. Growing up, Dad's favorite was Gene Autry. Hands down. This is why he learned the guitar. As the time of Elvis and Ricky Nelson came thru, he also was drawn to the likes of James Burton and Scotty Moore. Dad played in bands all throughout he growing years. In fact, that is what he wanted to do for a living. Of course, my grandfather had other thoughts. He insisted that my Dad got some form of education (even if this would be used as something to fall back on). Dad went into vocational training for electronics. Various jobs included: TV and radio shop. One of his tasks was to install antennas on house roofs. He later found himself working for Westinghouse where he was building hi-fi stereos. These were the large pieces of furniture made of wood with a radio/record player built-in. All tube powered! I still have one of these (that he made as a young man). Throughout all this time, Dad worked all kinds of jobs (concurrently). On average, 4-5 nights a week his band would play out. He taught guitar lessons. 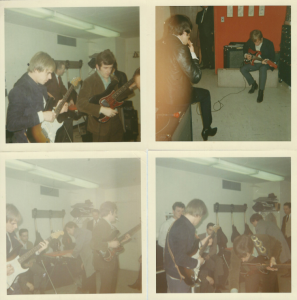 The next stop was at Ampeg (Linden, NJ..... 1964-1967). Being a very hard worker and a quick learner, Dad moved right on up. The owner, Everitt Hull took a likening to him. Some of his jobs were in the guitar dept., quality control of production, service manager. 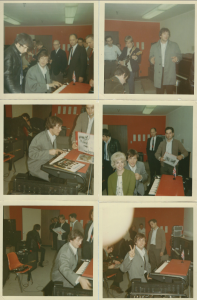 In this period (of the English invasion), Ampeg managed to bring in the Dave Clark Five with intent on outfitting them with amplifiers. I'm not sure what the ultimate result was, but Dad was part of that meeting (see attached). Now, this is where the electronic training came into play. When a time where John DeLorean created the muscle car (GTO) by modifying the Pontiac Tempest, Dad was hot rodding all kinds of amplifiers by squeezing every little bit out of them and pulling rabbits out of hats. Naturally, you cannot bring a Fender amp into Ampeg and have it modified, so people were bringing all kinds of equipment to our home. Dad would work on them at night in between all these other jobs. It became so very successful, that he was able to manage cutting back his work week at Ampeg (to half days). Nobody could get away with that. 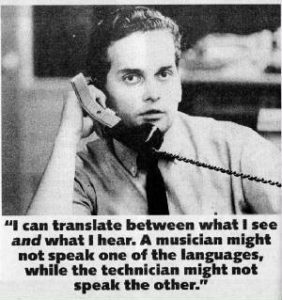 It demonstrates how very important he was to Ampeg (for them to allow that). 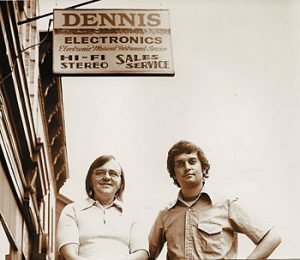 Things again, ramped up and in 1967 he took the "leap of faith by starting "Dennis Electronics". He positioned his shop nearby a large music store (very smart). There was limited competition as Dad didn't sell any new equipment (just used), and the retailer only sold new. They referred each other work. Win, win. 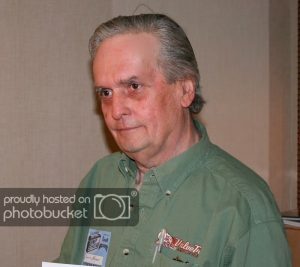 This was the time period where he created the famous "Marshall Mods" that everyone copied. He became your "go to guy" as he thought "outside the box" and "found a way". Around this time he had built a giant amp "Blow Your Mind" which he sold to some good clients who wanted something super massive. 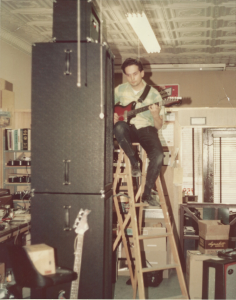 This amp was 9 feet tall and at the time may have been the biggest and loudest ever made. Dennis Electronics even took on a manufacturing gig. A local tube amp guy had a run of amps sold, but he didn't have the manpower to finish them off. Dad and his partner finished off the run successfully. It may have very well been his first manufacturing gig. All throughout this, he was still playing in a rock band. 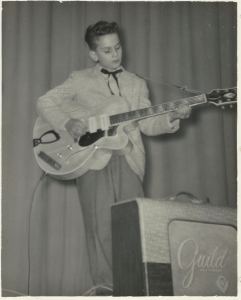 He was asked to join the Four Seasons (as the guitarist) at one point. Knowing what was important (family), he kept himself well grounded. In these years of Dennis Electronics, Dad had also worked an many production amps. 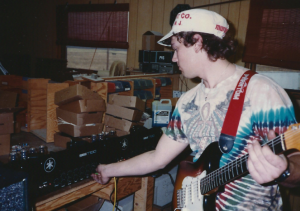 Companies like Mesa Boogie had my Dad work out "bugs" for them. Others consulted with him. 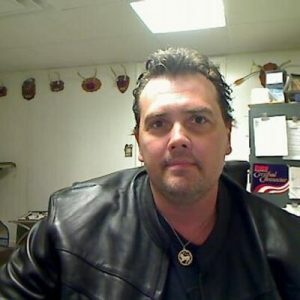 As a repairman/mechanic, he recognized pitfalls in manufacturing. Recognizing how difficult it can be to repair anything, he took that as an important aspect to his designs. If you cannot easily reach something to repair, how good will the repair be? 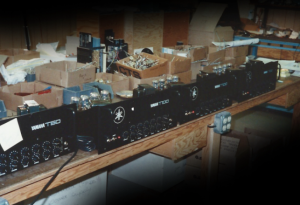 Taking on more and more, Dennis Electronics also installed sound systems for churches, schools, and halls. They actually had their own cabinets and P/A systems made. More experience in manufacturing. Dad started Sundown while at Dennis Electronics. People were looking for a true two channel amp. 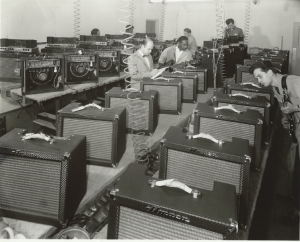 He created the first "true" two channel tube amp. One of his earliest customers was Peter Frampton (who had two amps that he ran in stereo). From there, he would do expos at larger music stores in the NY/NJ area. Finally, interest thru the Ibanez/Tama distributor became the " big break" that he had worked so very hard for. Sundown was the necessary "stepping stone" to get into the door of "the dance". This is where Dad met the "who's who of everything: Inventors, Company Heads, distributors, big chain buyers. Due to a myriad of business things, we had stopped production in NJ (1988). It was moved to upstate, New York to be manufactured by the other partners. 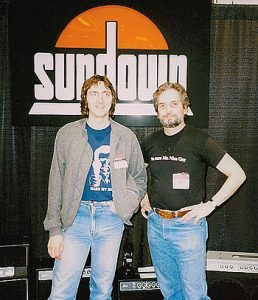 The manufacturing years of Sundown, I worked for my Dad. There are so many things that went into the product where words cannot do justice. There are so many things which can go wrong during production, that it took 5 years for my father to find the "right" facility to manufacture his design. I handled assembly and final testing at Sundown and we set such very high standards for them. Those are the "intangibles". After Sundown, Dad went back into the repair end (where he hadn't missed a beat). There was a void created in his absence, but those clients ultimately returned. At the same time there was "interest" in my dad as he knew how to get a product thru production to the end customer (without problems). 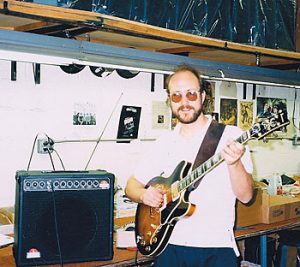 In 1991, Dad contracted tube amps for YAMAHA (under Soldano). We built them (just like we would build a Sundown). Same quality standards. The only real difference is that they were assembled in California. There were a few other activities. 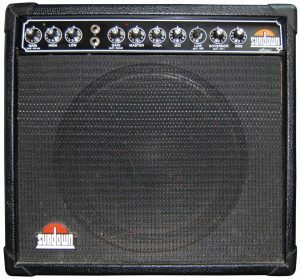 St Louis Music had bought Ampeg. They needed help in getting the company together as their history had gaps of missing info. My Dad was in the mix with much of that as well as some redesign work. Dad designed tube amps for Pignose Industries and Gorilla, USA where he struck up a long friendship with Howard Chatt. 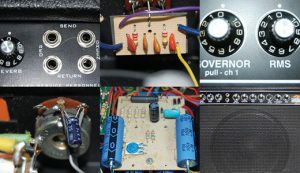 Dad designed the Tone Bender pedal for Korg, then the Reverend Amp for Joe Naylor. He took on smaller projects where companies needed engineering or sourcing help. He was a kind, helpful guy. Never stopped thinking. I cannot tell you how many things he created for me (personally all along). All cool stuff that no one has. He was miles ahead of everyone, he just didn't let anyone ever know. We miss him so very much. Not a day goes by where I don't think of something cool he accomplished or just basic stuff as he was a good honest guy. Rest easy Dad. They got it right! The last project he completed before his untimely death was this combo amp with his name on it, The "Kager K50-15". He designed the circuitry, the hand wired protocol, the cosmetics and every last detail down to the text on the chassis. 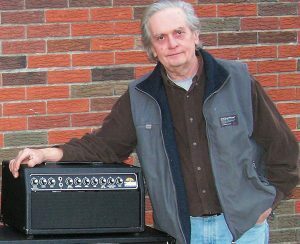 He worked closely with Howard Chatt at Pignose, USA to get these amplifiers hand-made in China and presented by Pignose Industries. He went thru many prototypes in the past five years in "getting it right". The Kager K50-15 is a compact combo amp (with one 12" speaker) which is all tube and hand made. It can change from 50 watts to 15 at the "flick" of a switch which makes it ideal for playing out and practicing applications. Cosmetically, it can be described best as "retro" as Dad was shooting for that vintage look as it has the vintage feel and sound.